The school has introduced 'Agriculture Science' as a mandatory subject for students from 5th to 10th standard. 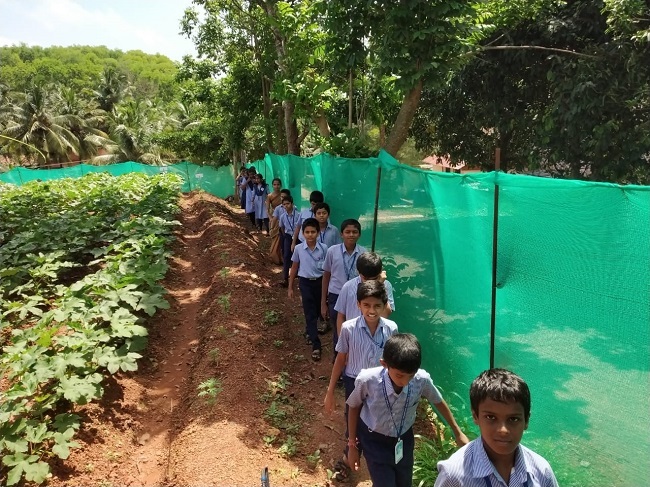 Every Saturday, 800 students at Sharada Vidyaniketana School in Talapady in Dakshina Kannada step out of their classrooms and take to the agriculture field, immersing themselves in digging the soil and sowing seeds. This, after the school introduced 'Agriculture Science' as a mandatory subject for students from 5th to 10th standard. Students between the ages of 10 to 15 are now being familiarised with concepts previously alien to them, such as manure, soil preparation, difference between integrated and mixed farming. The idea to introduce agriculture as a compulsory subject for students was the brainchild of MB Puranik, President of the Sharada Group of Institutions. An agriculturist by profession who holds an M.Sc in Botany, Puranik was encouraged to introduce agriculture as a subject after an interaction with one of the students at the school. "On being asked where tomatoes come from, a student replied that it came from the market. 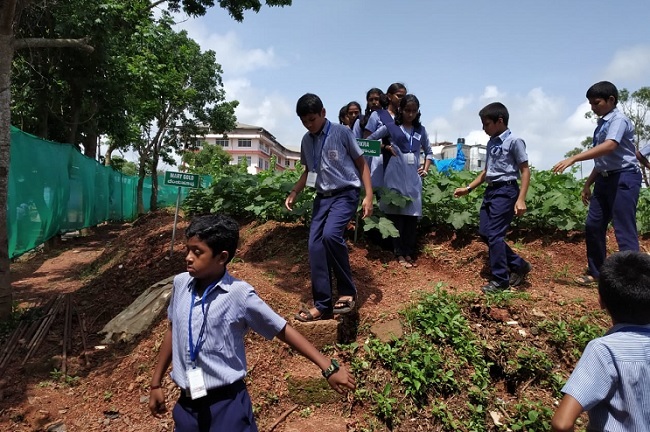 This made us realise that there is an urgent need to take students back to their roots," says Deepa, part of the faculty for Agriculture Science at the school. The school has cut out 3.5 acres of land on a trial basis for cultivation and has hired full-time faculty to train the students on the nuances of growing crops. Deepa admitted that the efforts to involve students in agriculture were done to improve their connect with nature. "In the theory-based class on agriculture, the students do not have practical exposure to nature. 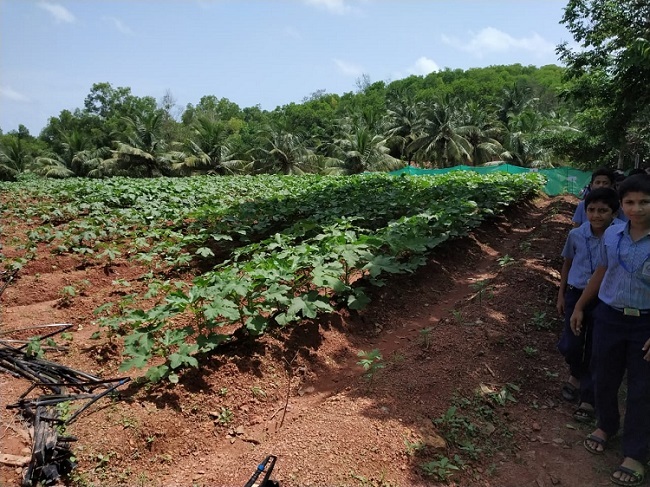 By taking on farming, the students are actually turning cultivators, they not only produce foods but it will also make them appreciate, respect and conserve nature in a much better manner," says Deepa, an M.Sc degree holder in Agriculture from GKVK University. Deepa and other staff members at the school are in agreement that the introduction of the subject will be beneficial to the students. "If you ask students where their food comes from, they will likely answer that it comes from the market. We want to make students understand the process of how the food they eat from their plates came to be," says Praful, a faculty member in the school. Alongside farming, the students are also being taught to rely less on chemical fertilisers and more on organic alternatives. The school has about 25 cows and the students are being trained to prepare manure out of cow-dung and its urine. 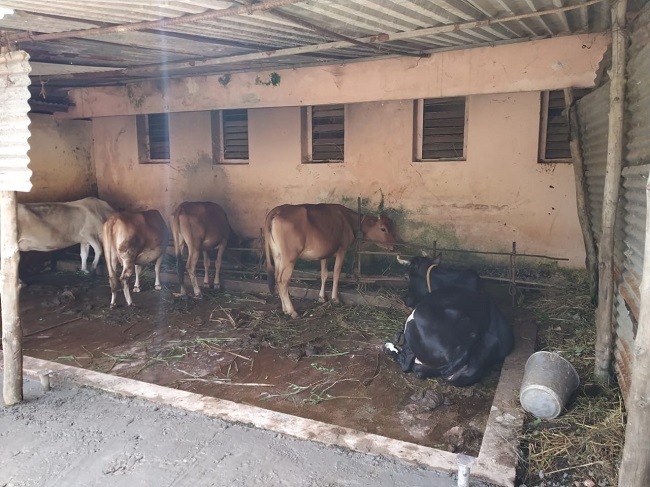 "Students are assigned the responsibility to prepare the compost and then there is a rotational team which collects the cow dung daily," Deepa adds. The time-table of the school is structured so that the practical classes of Agricultural Science are held on Saturday afternoons when students from 5th to 10th standard take to the field for cultivation. The students are currently cultivating 18 types of vegetables and each class has its own area marked out for cultivation. The students will be graded taking their yield, use of space and use of water into account. Given their substantial number, the adolescents have been divided into teams and a few Diploma students from Krushi Kendra have stepped in to mentor them. The total cost incurred for the project is taken care by the school management, and the final output of the vegetables that are grown will be sourced to the college mess for lunch during school hours. Located on the national highway NH 66 from Mangaluru en route to Kerala, this school is elated by its initial success with support pouring in from students and parents. The school plans to purchase a few more acres of land for agriculture. It has already started a Sewage Treatment Plant (STP) and is mulling Rainwater Harvesting projects for students. While the school authorities say that they eventually want to develop an Agriculture cooperative operated and managed by students, they want to share this educational model with other CBSE schools across nations. "The ultimate hope is that the CBSE recognises our efforts and at least introduces agriculture as an optional subject," says Praful. With inputs from Prajwal Bhat.